PNNL will lead six projects aimed at early-stage cybersecurity research focused on energy infrastructure. The projects are funded by DOE’s Cybersecurity for Energy Delivery Program. PNNL was recently selected by the Energy Department to lead six projects in support of early-stage cybersecurity research and development that will enhance critical U.S. energy infrastructure. Keyless Infrastructure Security Solution. This project will create and test a keyless infrastructure solution based on Blockchain—a mechanism that facilitates secure online transactions—for transactive energy exchanges. This project will be led by PNNL’s Michael Mylrea. Partners include Guardtime, Washington State University, Tennessee Valley Authority, Siemens, and the Department of Defense’s Homeland Defense and Security Information Analysis Center. Mitigation of External-Exposure of Energy Delivery System Equipment. This project will develop a tool for utilities and others to first identify energy delivery system equipment that might have been inadvertently exposed to the public internet and then mitigate the risk associated with the exposure. Mylrea will also lead this project. Partners include Shodan LLC, the National Rural Electric Cooperative Association, Tenable Network Security, and Chelan PUD. Safe and Secure Autonomous Scanning Solution for Energy Delivery Systems. This project will develop a technology that allows continuous vulnerability scanning in grid control systems without impacting the system. This project will be led by PNNL’s Thomas Edgar. Partners include Tenable Network Security, Chelan PUD, the University of Illinois, and the National Rural Electric Cooperative Association. 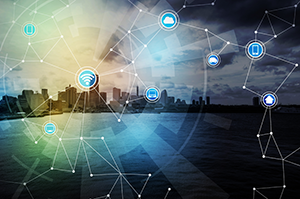 Software Defined Networking for Energy Delivery Systems. This project will develop a “blueprint” and reference architecture for deploying software defined networking technology to better secure operational networks in the energy sector. This project will be led by PNNL’s Mark Hadley. Partners include Dispersive Technologies, California Independent System Operator, Juniper, Schweitzer Engineering Laboratories, Southern California Edison, United States Pacific Command, United States Northern Command, United States Cyber Command, Sandia National Laboratories, and National Renewable Energy Laboratory. Universal Utility Data Exchange. This project will develop a secure and flexible information sharing solution to replace all communications among electric utility control centers. This includes replacing the Inter-Control Center Communications Protocol—which facilitates exchanges over wide area networks among utility control centers, utilities, power pools, regional control centers, and non-utility generators. This project will be led by PNNL’s Scott Mix. Partners include Open Access Technology International, Inc.; MITRE Corporation; and Western Area Power Administration. Vulnerability, Exploit, and Risk Identification Toolset and Source. This project will build partnership among suppliers and end users of energy delivery infrastructure components and systems in order to improve security of products before they go to market. This project will be led by PNNL’s Jess Smith. Partners include Siemens, Minnesota Valley Electric Co-op, South River Electric Membership Co-op, and Soteria. Tools and technologies that enhance cybersecurity in the energy sector. In addition to leading six projects, PNNL is partnering on projects led by Idaho National Laboratory and Sandia National Laboratories. The projects are funded by the DOE Office of Electricity Delivery and Energy Reliability’s Cybersecurity for Energy Delivery Program. These project awards were announced in conjunction the Department’s Resilient Distribution System awards under the DOE Grid Modernization Initiative. PNNL was awarded five of those seven projects, which will be coordinated through the Grid Modernization Laboratory Consortium.